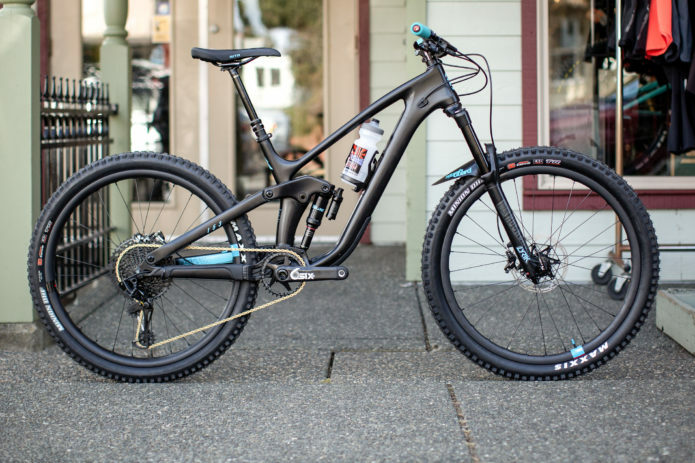 Here at Kona Dream Builds, we love… Well, we love all Kona Dream Builds. 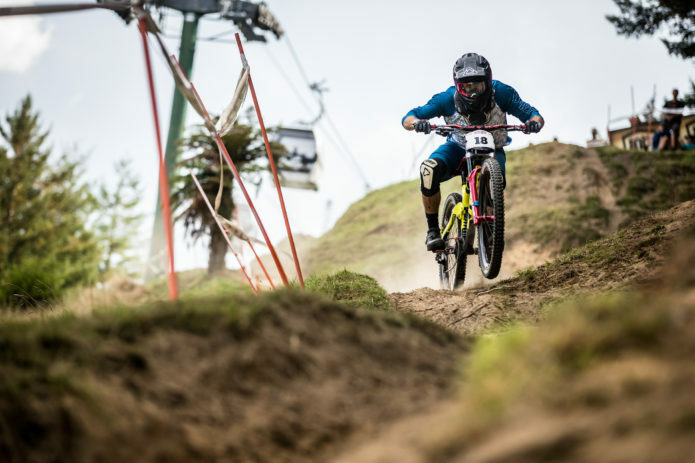 Sometimes though, finding just the right amount of color coordination can be a balancing act, those blue or orange brake lines just might be a step too far. 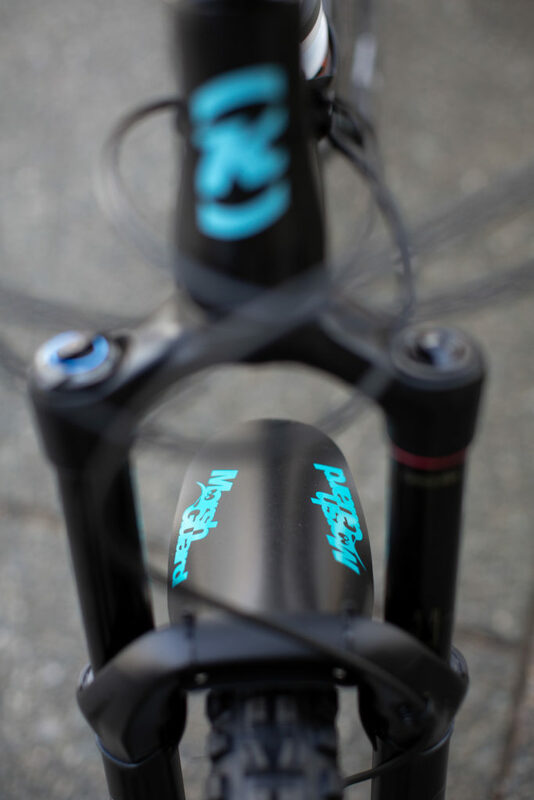 Well, that’s not the case here with Jef’s perfectly color matched Process CR 275 that the boys at Comox Bike Co have put together, amongst all the upgrades there is just the right amount of very subtle pops of the bikes original ice blue highlight. 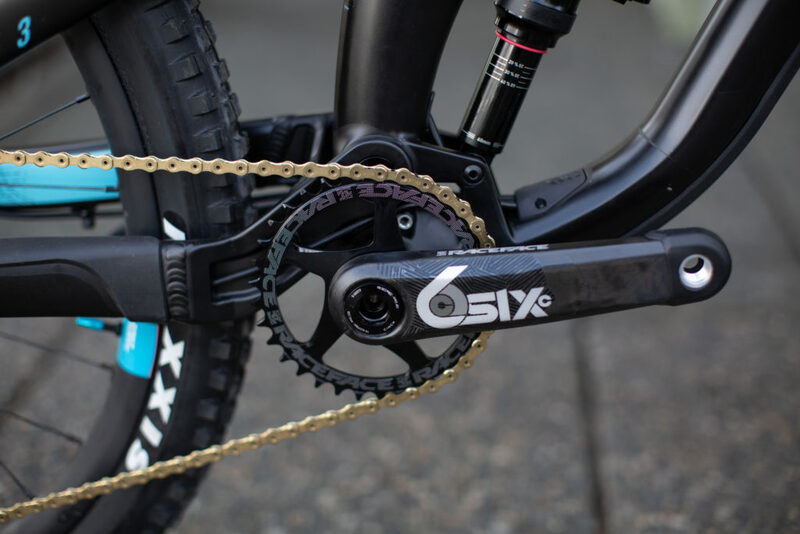 Interestingly, the only other color option that Race Face’s SixC cranks come in is a blue, yet Jef smartly opted for the stock silver. 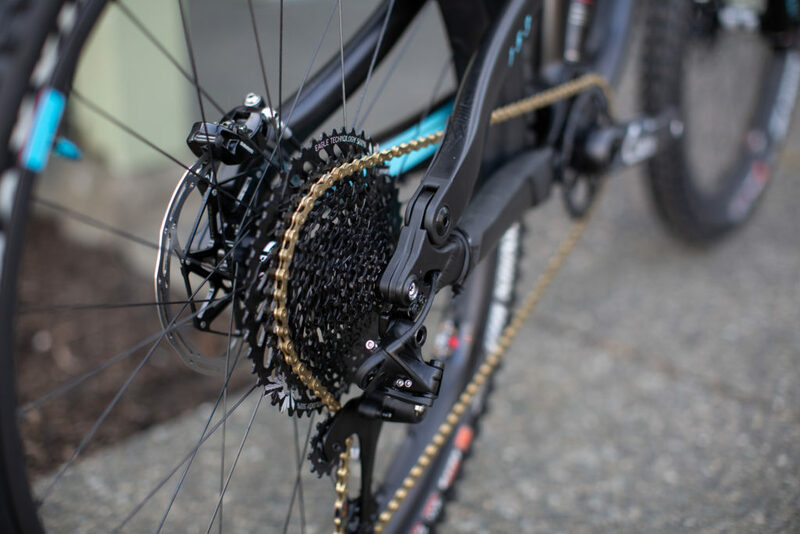 The stock SRAM NX Eagle drive train has been swapped out for an XX1 rear mech and XX1 gold chain. 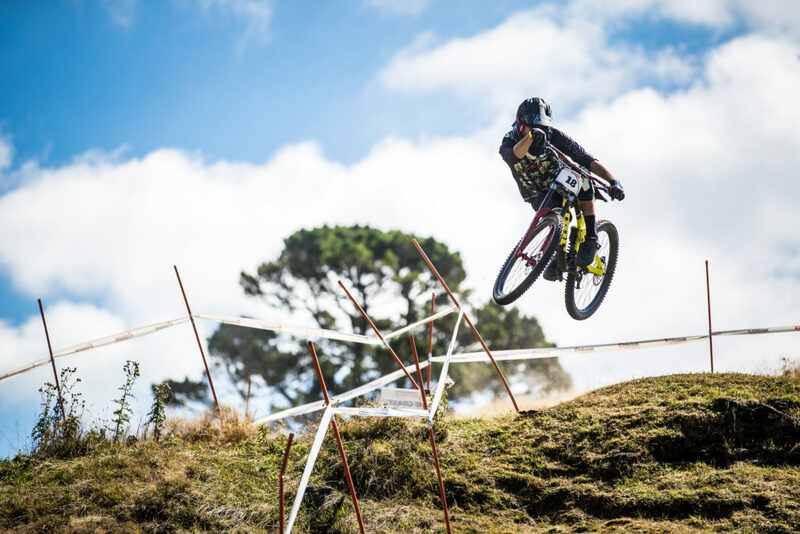 SRAM’s powerful and reliable Guide Ultimate brakes have been added for a little extra power. 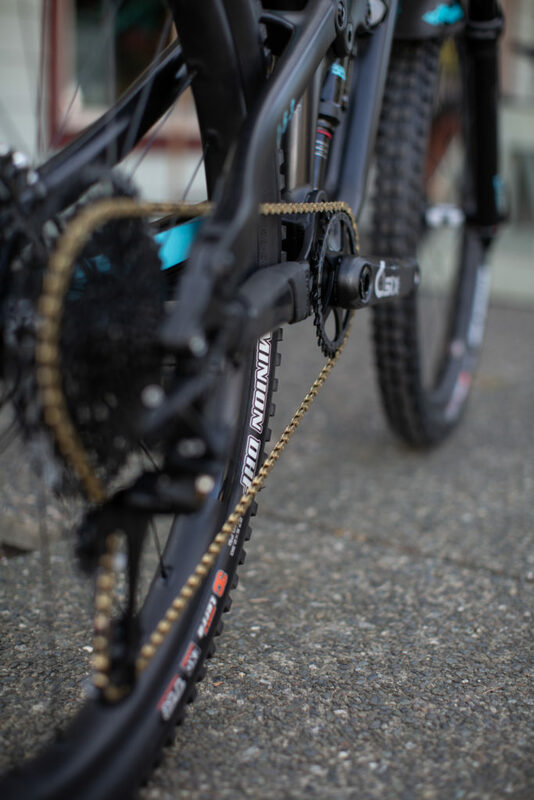 The Process rolls on Santa Cruz Reserve 30s (with custom ice blue decals) built around DT Swiss 350 hubs. Both front and rear wheels are rocking Maxxis Minion DHFs. 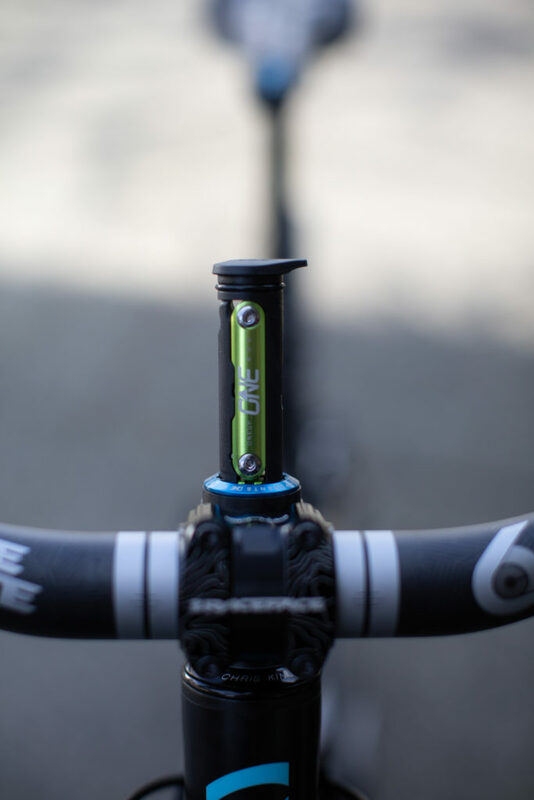 Again, when faced with the option of adding color by way of the Race Face SixC bars, Jef has kept things subtle and gone for the silver again, choosing to add a subtle splash of color with the One Up toll EDC top cap. If you haven’t got an EDC tool in your steerer you’re not doing it right. 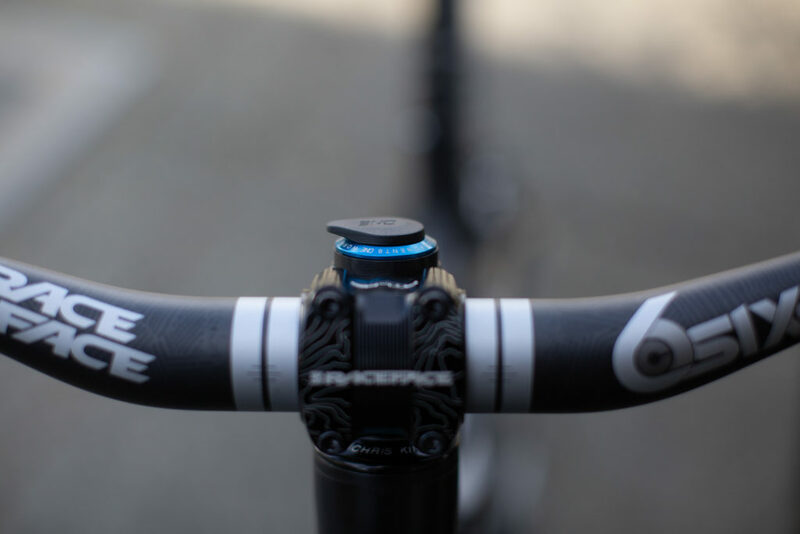 Jef clearly knows what’s up, the Chris King InSet2 headset is a testament to that also. 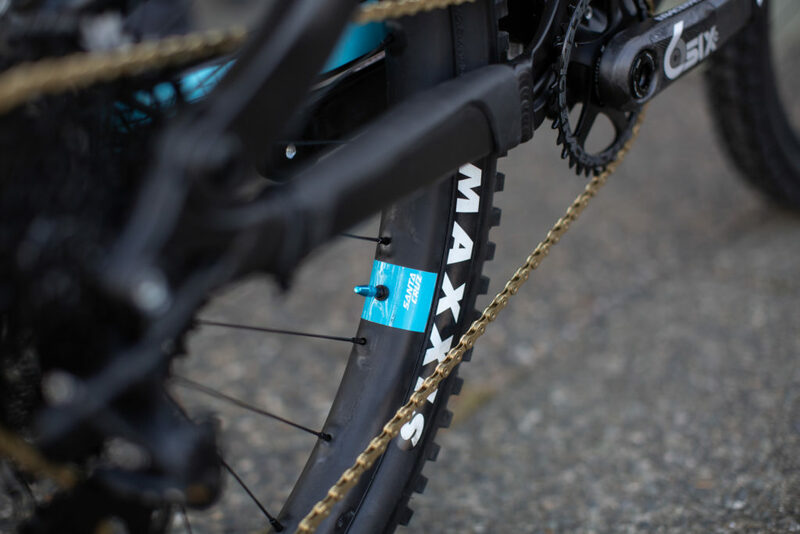 While the rear Rock Shox Super Deluxe shock has been left stock, Jef has added an RCT3 damper to the bikes Rock Shox Lyrik, and the final pop of ice blue comes via another must-have accessory, a Marsh Guard. Like what you see? You can purchase your very own Process CR 275 from your local Kona Dealer or depending on where you love via Kona Ride Online.